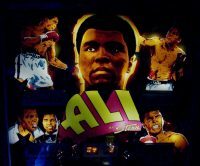 Mike Remembers: I only remember playing Ali at one spot, the old arcade under the Hayloft restaurant on Rideau Street. 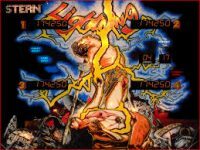 The first thing that struck me when I first saw it was the photo realistic image of Ali himself in the center of the backglass, something never before seen in Pinball at the time. The second thing I noted was that the game played incredibly fast, and was not easy to beat. 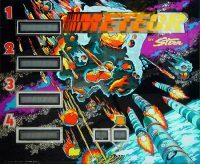 Added to that was the soundtrack, similar to Meteor with the background buildup sound, and tons of other great Classic Stern sound effects. I have been waiting 30 years to play this game again, and this one got the full Pinball Medics Black Label Process and plays like a beast! This game is a must play for any fans of the Classic Stern era, or of crazy fast action in any game. 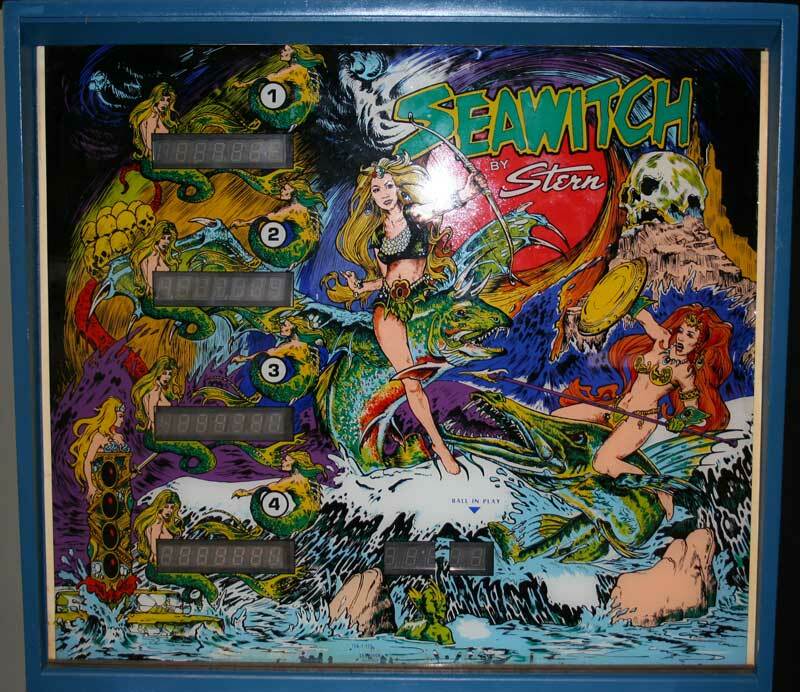 Mike Remembers: I was 12 years old when this game was new, and while I have vague memories of it, I can’t put my finger on a local Ottawa location with this Pinball Machine in it. It an amazing game, littered with drop target banks! A single drop target, a 2 bank, 3 bank, and 4 bank of drops on the lower playfield, and a 5 bank up top shootable with the mini-flipper! With 15 drop targets, this game is a beast, and completing the cards associated with each bank of targets makes up the hands that score your bonus. Featuring a full LED conversion with colour matched inserts, all new drop targets, completely rebuilt pop bumpers with all new parts, all three flippers converted to the modern Bally/Williams Fliptronics systems, and a Pascal All-in-one CPU/Driver board/Power supply allowing for many new gameplay features never available with original equipment. This game was also produced in an electro-mechanical iteration, and while this game is the solid state version, it retains the original “Chime” Unit for sound, adding an old-school charm to this amazing souped up old game! Mike Remembers: This is one of my all time favourite games, and was at Hampton Park Bowling Alley when it was new. It was right beside Haunted House, which was of course also a serious classic. 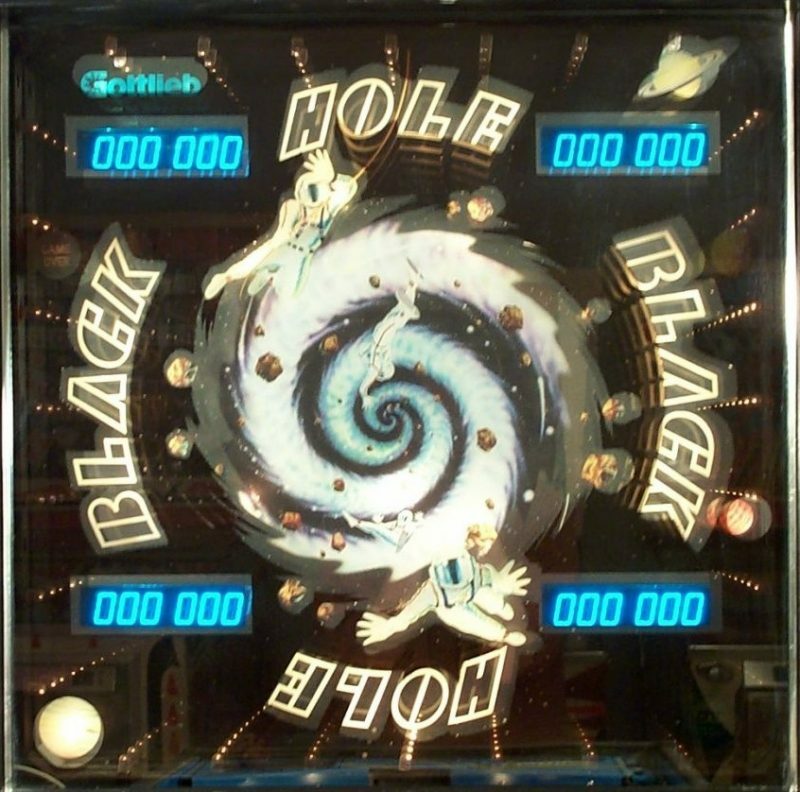 A difficult game for sure, with a lower playfield, visible through the plexiglass section of the main playfield, and slanted towards the back. You must complete a row of drop targets while you’re down there, compensating for the Pinball equivalent of reverse gravity, or it’s right out the gutter when the ball comes back up after you lose it downstairs! The multi-ball, while difficult to achieve, is incredible, with three balls over two playfields at once! A full LED conversion with colour matched inserts and psychedelic Black Light style Comet Purple Passion’s in the head, mated with Comet 1 SMD colour changers behind the rotating disc. The lower playfield illumination has been converted from 24v to 6v, allowing for Comet Twin 2835 SMD Ice Blue illumination from above, combined with a blue Comet Matrix strip on the re-entry tube. The Purple theme is reflected again in the Purple Superband flipper and mini-post rubbers, with black rubbers including post caps rounding out the machine. Beyond the flashback inducing cosmetic illumination mods, ground mods and pop bumper board mods, of course it features the upgrade of all Six flippers to modern fliptronics style units, proving once again that more cowbell and amps that go to 11 are never a bad thing, regardless of Time Space, and a distinct advantage when it comes to Gravity Wells, and this flipper mod is actually powerful enough to escape the event horizon of the Black Hole at the center of the Ottawa Pinball Arcade Universe. 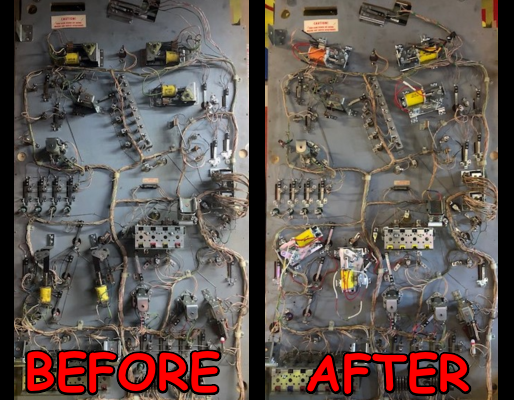 The existing original working boards will be used for the first couple of weeks at the Arcade to ensure their reliability before being sold as certified working 100% for 14 hours a day every day, to make room for the patiently waiting Pascal all in one boardset which will add many custom features to the gameplay not available with the original equipment. We will update this post once it is installed. Contact us if you need any boards from this game other than the sound board, as it is still required at this time even with the FLIPPP system we will be installing. Come experience the only Black Label Black Light Black Hole in the known Universes for yourself. 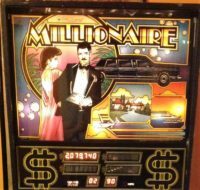 Mike Remembers: The first time I saw this machine was at the short lived futuristic multi-levelled Arcade on the East side of Bank Street just North of the Wizard Arcade. This was a fave weekend hangout with the Fat Albert’s Pizza shop right there for a quick break from buying quarters to feed to the machines lining Bank and Rideau, the two Main Streets in Downtown Ottawa, when just a little over 10,000 copies of Silverball Mania were rolling off the presses back in the USA at the Bally production headquarters in Chicago. No drop targets, but more stand up and rollover targets than you can imagine. One for each letter of S-I-L-V-E-R-B-A-L-L-M-A-N-I-A. 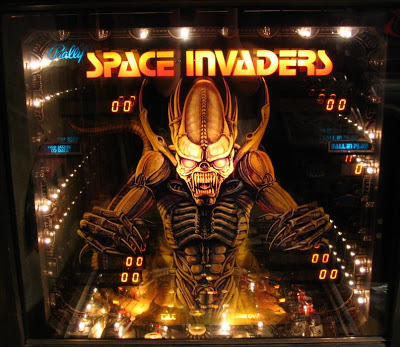 It had advanced sounds at the time as well, similar to Space Invaders Pinball, which came out two months later. Aside from the sounds, they also shared the same center horseshoe feature, as well as the arrangement of 3 pop bumpers stacked Chessboard style with 4 dead bumpers that score but do not “Pop” to repel the ball. 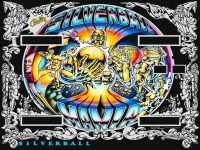 Of course the incredible use of Mirror finish in the background art with the fantasy liquid mercury Silverball Maniacs in a Cosmic Fusion with the liquid mercury Pinball Machines are one of the most iconic and stunning visuals of the medium in that late Golden Era period just before translites and generic cabinet art would start adorning Pinball Machines two years later. 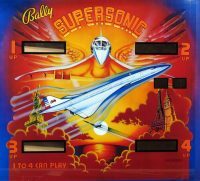 Mike Remembers: Supersonic was another one of the great classic Bally machines I enjoyed at Lincoln Fields Shopping Centre in the 70s’ and 80’s. In 1979 when it was new, this game showed up one day, and was an instant fave. It had all the great Bally features I loved then as now, including a 5 bank drop target bank, a kick-out hole, 3 pop bumpers, a spinner, a ball save gate on the right out-lane, 4 stand up targets, and a pile of star roll-overs, including 5 of them in a row on the side alley. 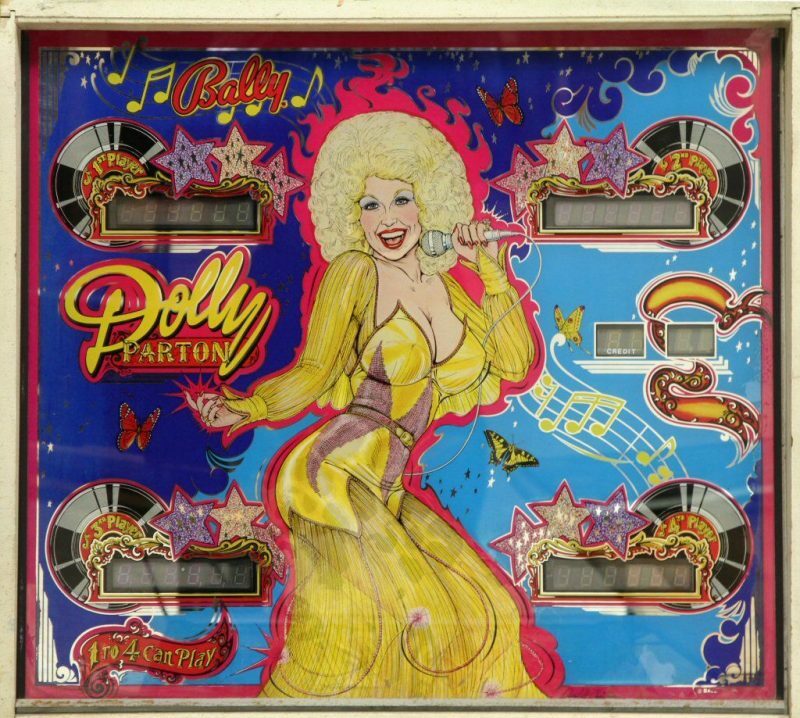 Mike Remembers: Dolly was always a tough game, and it was in several locations in Ottawa, though I can’t say where would have been my most vivid memory of the game. It was a difficult game to beat, and based on that and it seeming somewhat “girly” to me as a young boy, I did not give it the attention I now know it deserves. 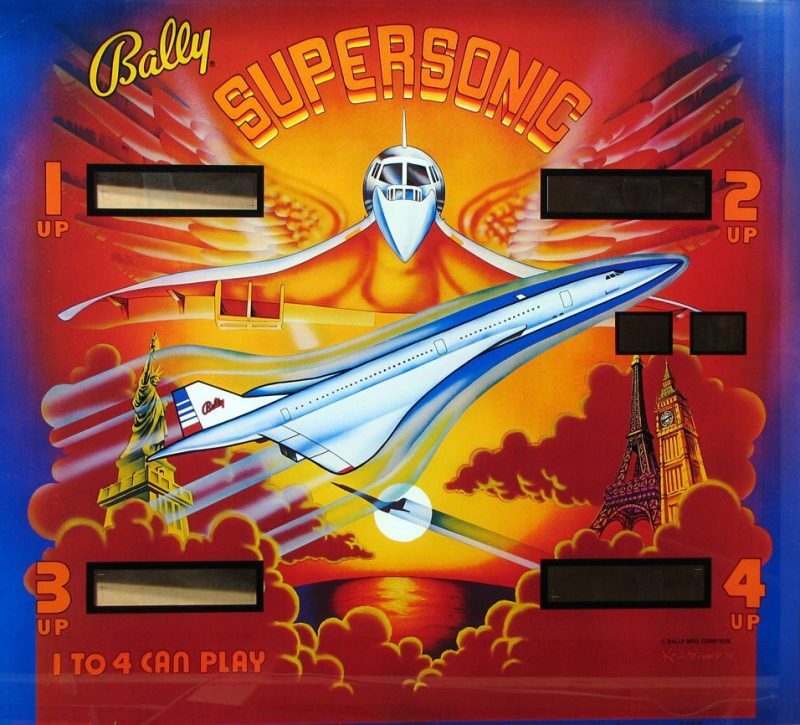 This is a quintessential classic Bally, and one of the most challenging and exciting early Solid State games in our collection. Mike Remembers: The first time I laid my eyes (and ears) on a Centaur was at the Games Room on Rideau. This was a game that had a few really cool features that made it stand out immediately. First off, five ball multi-ball. That alone made this game responsible for a good percentage of my chronic early 80’s quarter depletion condition. 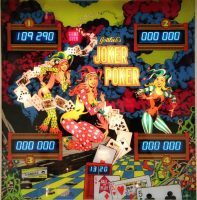 Of course the artwork is a tour de force, in Greyscale with Red as the only actual colour used anywhere on the glass, playfield, or cabinet. The other amazing thing unique in all of Pinball to this game, is the analog echo unit, the Bally “Say it Again” board, which complimented the already amazing synthesized speech and futuristic sounds of the Bally “Squawk and Talk”. 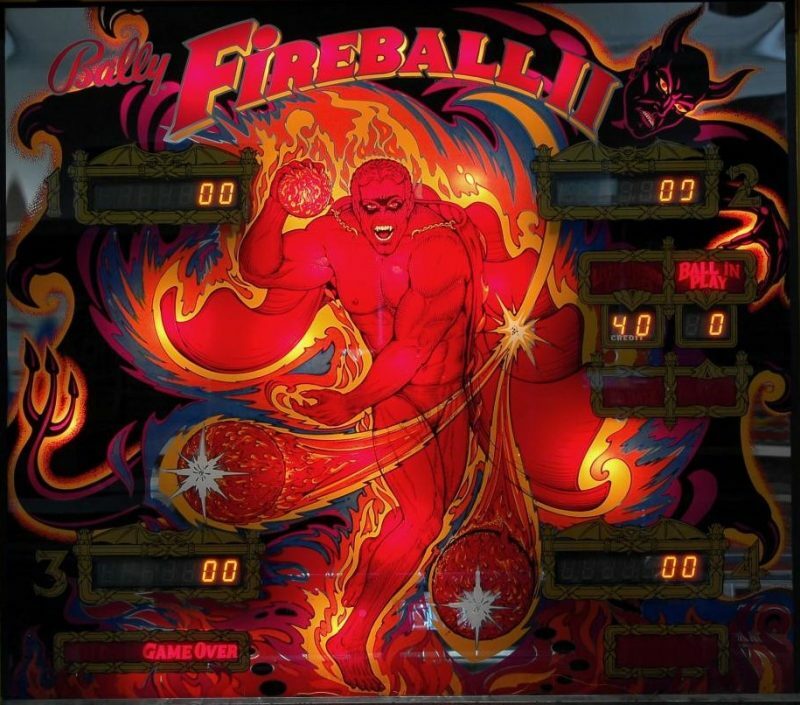 The background music/sound uses the eerily dissonant “diabolus in musica”, often referred to as the “Devil’s Interval” for those not versed in Latin, a musical scale believed to have been forbidden by the Catholic Church back in the day, reminiscent of the background music in another of my all time faves here at the Arcade, Devil’s Dare, as well as some of my favourite Zeppelin and other Classic Rock songs, and many great pieces of Classical Music. 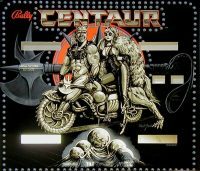 This Centaur has of course received the full hot-rod & restoration treatment from Pinball Medics, and is a Certified Black Label Bally, featuring rebuilt pop bumpers, Black Rubbers with Superband flipper & post rubbers, Williams/Bally Fliptronic style flipper assemblies, all new drop targets, a full LED conversion using Comet TWIN 2835 SMD bulbs with colour matched inserts, using only a few strategically placed red and mostly Natural White for general illumination, with unfiltered white UNO LED displays to enhance the Greyscale and Red effect that is one of the unique and beautiful features of this amazing classic. 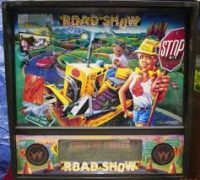 Mike Remembers: This game was at the Arcade beside the Dairy Queen on Walkley just East of Bank Street when it was new. 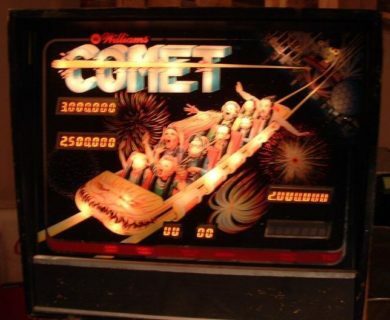 I recall the music and sounds were very advanced at the time, and with three ramps, 3 ball multiball, inline drop targets and 3 flippers, and lots of speech, this was a flashy game. And of course Pinball Medics has upgraded all the flippers to the new Williams system they put on all their old Ballys, rebuilt the custom blue pop bumpers, and performed a full LED conversion with color matched inserts, so like all our games here, plays better and faster than new. 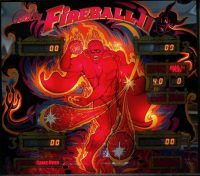 It is here at the Arcade for a limited time, and will ultimately be sold or returned to the Pinball Medics showroom once it has passed the Ottawa Pinball Arcade stress test, but in the meantime, come enjoy this great game this summer while it is in residency! Mike Remembers: Genie is one of my all time fave games. It was featured beside Circus (also here at the Arcade) at the Mister Arcade at Bank & Alta Vista when it was new. 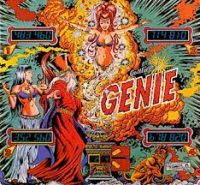 I always considered these “sister” games, but despite their similarities, I have always far preferred the artwork, theme, sounds, and most importantly gameplay of Genie. It has been on my must have list for many years, and this is the first time I have played one that works well since I was 15 years old! 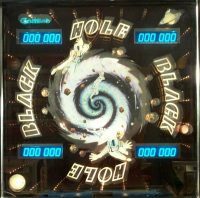 The wide body Gottliebs needed a lot of punch to get the ball around the playfield, and this machine features the first use of newer Williams flipper systems in a classic Gottlieb, making this the first Pinball Medics Custom Shop Black Label Gottlieb! Never have I witnessed a massive wide body Gottlieb that played this fast, it is extremely lively, and with an upgraded Pascal MPU, features additional options and depth of gameplay previously unavailable. 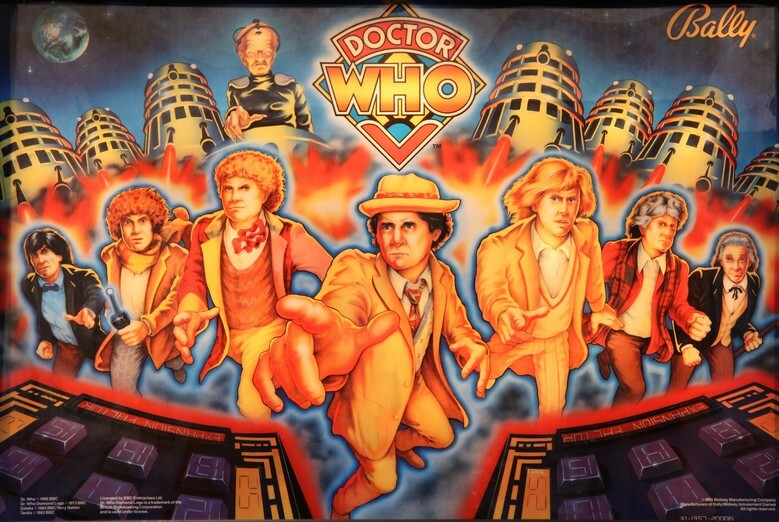 Mike Remembers: Doctor Who was one of the first Dot Matrix Display games I remember playing. I played it at the Imperial Arcade on Bank street when it was new as well as many other locations across the city. A great theme with a great soundtrack and tie ins to the seminal BBC series it is based on. Mike Remembers: To be honest, I don’t have any Arcade memories of this game, but it is one of the best DMD games I have played, and is the first in a series of 90’s machines that we have acquired. 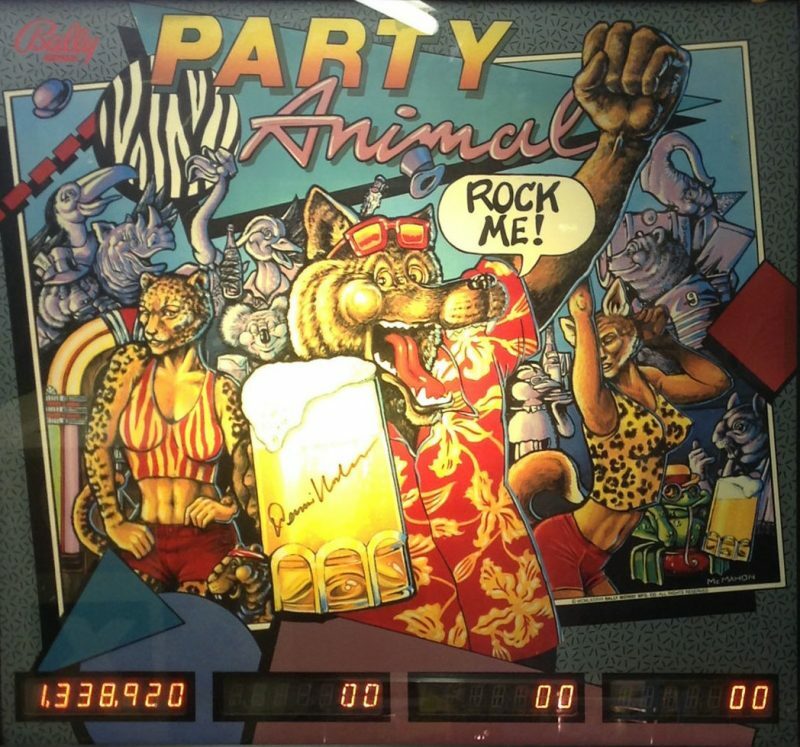 We have accepted that the 90’s were actually a while ago now, and as such are now considering all the great games from that decade to be “Classic” Pinball Machines. This game has been fully refurbished and upgraded by Pinball Medics and plays amazingly well. While we are moving into the 90’s with our game selection, our prices will still reflect the past, and this and all the newer games coming in will still be one Dollar per game, with 5 balls per game! 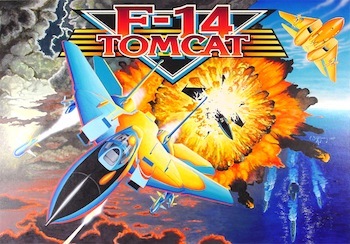 Mike Remembers: F-14 was a fixture at the Games Room on Rideau street, and when I first played it I was blown away by the speed and incredibly fast flow of this game. Of course within a year, this was the norm, but at the time it was like hearing Eddie Van Halen for the first time before everyone else was trying to play like him too. Four ball multi-ball, four flippers an three police lights on top, the crazy kickback feature, ball save, advanced background music and callouts, this really was a groundbreaking machine, and to this day still plays faster than most games out there. Mike Remembers: One of my all time favorite games, which I first became acquainted with at the Hampton Park Bowling Alley. This game really had it all and was the perfect combination of sound, light and game play. As a fan of drop targets in general, this game was a tour de force with a seven bank and two sets of inline drop targets. With more ways than any other game I can remember to achieve a “Special”, many hours were spent playing this game over and over, obeying its command to “Quit Talking and Start Chalking”. 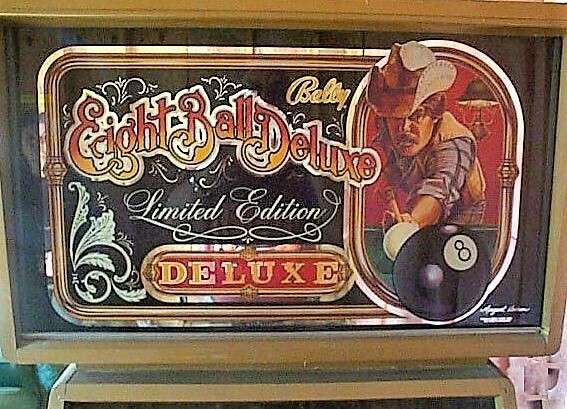 This 8 Ball Deluxe is the Limited Edition version, which came out as a re-issue of what is arguably the best Classic Pinball Machine ever made, but what really separates this one from the pack, besides all new drop targets, rebuilt pop bumpers and slingshots, and a head full of new connectors, this is one of our Pinball Medics Custom Shop Black Label Pinball Machines! This includes a complete LED conversion with custom lamp drivers, LED displays, rebuilt and upgraded processors and power supplies, and much more. And the reason it has black rubbers like newer dot matrix games? We put in our signature flipper upgrade system with matched parallel wound coils, and the old white rubbers don’t last more than a couple of days with these fire breathing monsters! 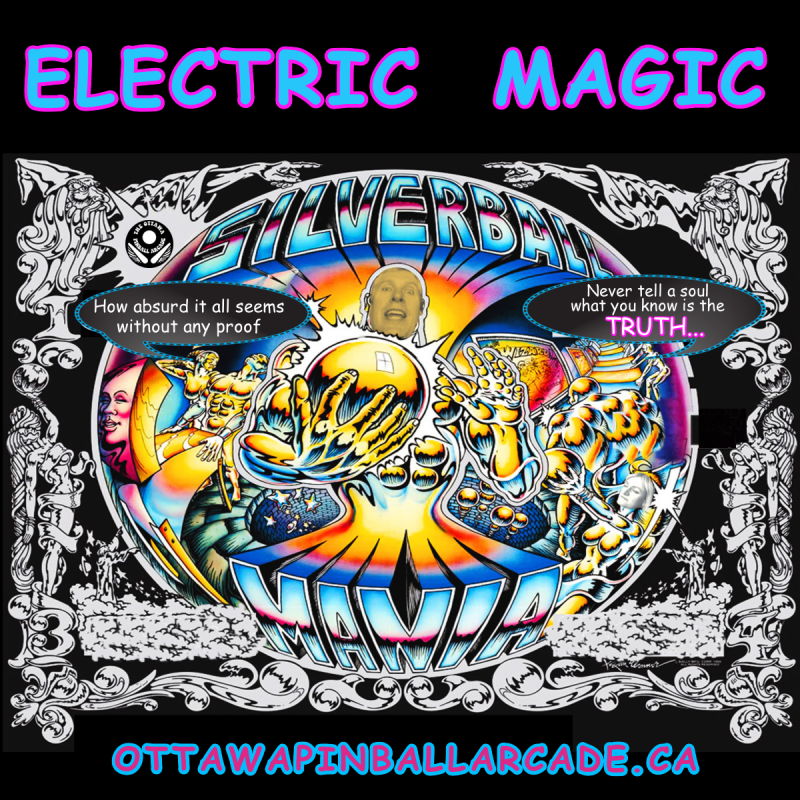 Don’t take our word for it, come experience the ultimate Eight Ball Deluxe for yourself, and find out why the Ottawa Pinball Arcade is renowned for having the best playing Classic Pins in the known Universe. In this era or that from which they were forged! 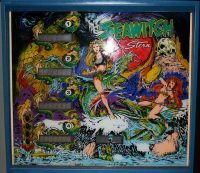 Mike Remembers: This pinball machine has not been seen by many, and even as an avid arcade hound when his game was new, I only have vague memories of playing it in Ottawa, though if I had to guess, I think it was at the Wizard on Bank Street, where rare classic Stern games were commonplace. The incredibly fast two level gameplay and three ball multi-ball make this a very challenging game, and the amazing synthesized speech of a Classic Stern is hard to beat. 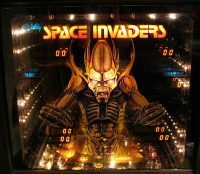 We are thrilled to present yet another in our series of the best playing Classic Stern pinball machines available to be played anywhere in Canada. Mike Remembers: This machine first caught my eye when it was in front of the shoe rental kiosk at the West end Skateway Roller Disco. It was beside an Asteroids, and they went so well together I spent a lot of time right there as they were two of my fave pinball and video games at the time. The constantly higher pitched background sounds, an abundance of drop targets, and incredibly fast gameplay made this an instant classic, and I’m thrilled to be able to share this game at the arcade. I first remember this from the arcade, I forget which name it was under at that time, at Carling and Broadview. It stood out from any other game at the time (and it still does), and you couldn’t help but be blown away by the double mirror and chasing lights. I walked up to it, dropped a quarter, and rolled the game on my first ball, and played it for the next hour or so. I would also play it at the Mr. Arcade on Alta Vista at Bank, and various other arcades in Ottawa and well beyond. I recall this game from the Imperial Arcade on Bank Street. It was late in the Arcade era when Pinball was in it’s decline before the DMD revolution a few short years later. 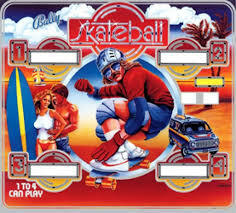 Mike Remembers: Skateball was a fixture in the Lincoln Fields Mall in 1980, same as Star Trek which I have positioned by its side like I remember them back in the day. 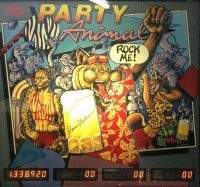 A long line of quarters would work its way up the side of the playfield glass as we would all wait for our turn at this awesome super fast playing game with the wicked sound effects and the dude with the mirror shades. 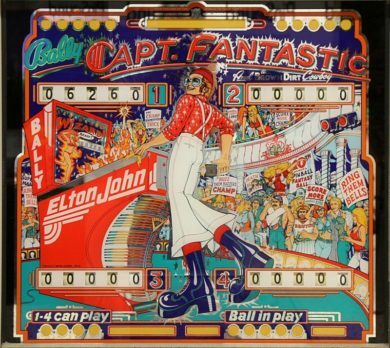 Mike Remembers: I was barely 10 years old when I first played the Captain and it was the game that pushed my love of pinball over the top. 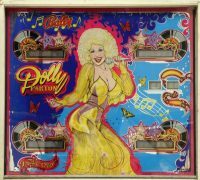 My grandparents had a winter place in Florida we would visit with an arcade on the grounds, and I spent countless hours pumping dimes into the most amazing pinball machine I could have imagined. 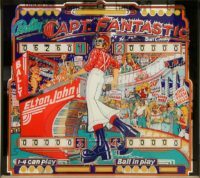 Before even knowing the story of Tommy the pinball Wizard, I was captivated by its theme and the incredible artwork by Dave Christensen. Even after I ran out of coins, I would sit and stare at the detailed artwork, entranced by its beauty and incredible detail. It was as if I knew every character on the backglass and to this day this is still the machine I cherish the most. In the early 1990s, I would play it at the Imperial Arcade at Bank and Gilmore beside Barrymore’s where it brought back memories of my childhood even then. I am thrilled to share this game here at the arcade where it sits in prominence as the shining jewel of the electro mechanical collection. 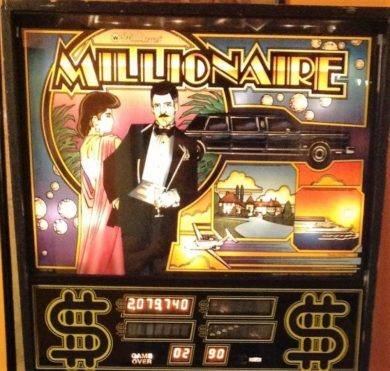 Mike Remembers: I used to play this machine at the Midway at their first location on St. Laurent Boulevard. 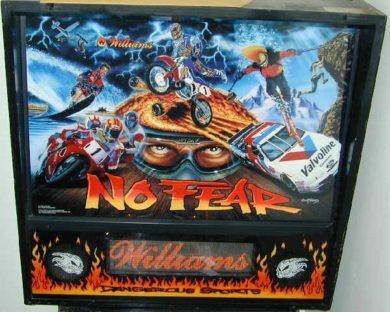 It was one of the last games that to me still retains some of the classic feel of the pinball machine of my youth. 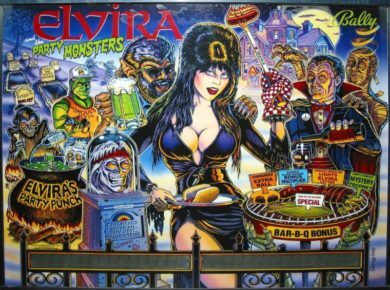 This Elvira was the first game to grace the floor of the Ottawa Pinball Arcade, and after 3 years, it came home for a quick visit to the Pinball Medics Custom Shop to receive a full rebuild and bullet-proofing, and is now a certified Black Label Bally! If you liked the way this game played before, you will be blown away by how it now plays, and looks! Mike Remembers: This is a game I don’t have many memories of playing in the arcades. I have owned a couple and the animated skull is a novel toy and the jumping ramp with the magnetic assist is a great test of hand eye coordination and timing. It is a great “newer” game, and will ultimately be sold for someone to enjoy in their home and make room for some more treasured memories to fill the dream arcade of my youth. 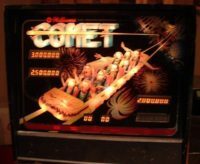 Mike Remembers: Comet was one of those games that you had to line your quarters on and wait to play. My most vivid memories of it were at the Mister Arcade at Bank and AltaVista. 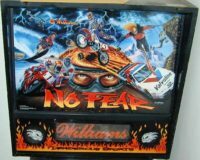 The first ever one million shot in pinball combined with the plastic ramps, which were a novelty at the time, made it a very popular game. 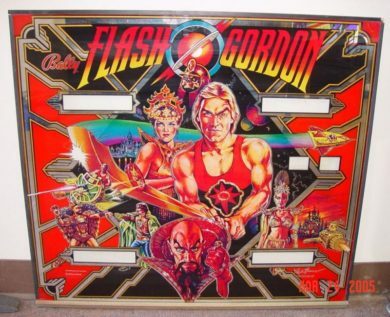 Mike Remembers: My first memories of Flash Gordon were at the Hampton Park Bowling Alley. The incredible sound effects, two level playfield and strobe light combined with inline drop targets made it a very attractive game to play. It was a very challenging game as well and very difficult to obtain a free game on. The quarters seemed to disappear very quickly when playing this game; however, Emperor Ming would always draw you back for one more game with Bally’s amazing speech synthesis capabilities and the games taunting vocabulary. Now Flash Gordon is fresh back from a visit to the Pinball Medics Custom Shop, Flash Gordon is now a Certified Black Label Bally, joining it’s fellow hot-rodded Classic Pinball Machines in the lineup. Now featuring Williams Fliptronic style flipper systems all around (even upstairs), completely rebuilt pop bumpers, reenforced machine screwed posts with black rubbers, full color matched LED conversion, LED displays, and all the other features and extensive fine tuning common to the Black Label series of Classic Bally & Sterns featured here at the Arcade. 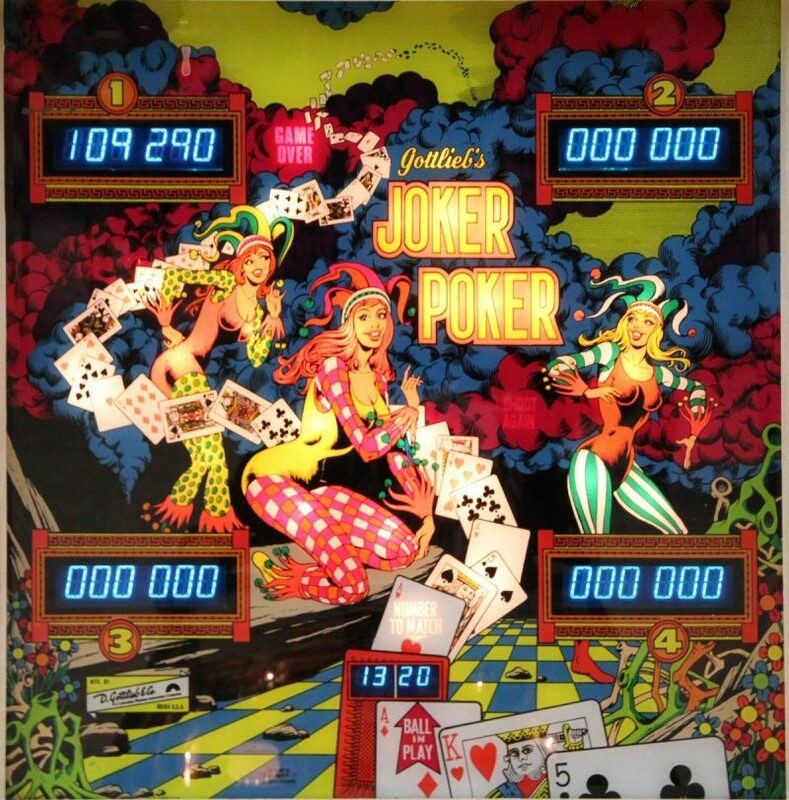 This machine, like all early Solid State multi-level games, suffered from a lack of flipper power, most obvious when trying to reach the upper play area. While some of our hot-rodded games may feel over the top to some players or purists, this is a game where these modifications can only be felt as a huge improvement in overall game play, and while this game is fast, even faster than new in fact, it now has flippers that can more than handle whatever the game can throw at them. Mike Remembers: My fondest memories of Star Trek were at the Lincoln Fields shopping centre where it was in residence for some time in the four-pinball line-up at the top of the escalator from the old Woolco Department Store. I remember loving the early electronic sounds reminiscent of some of the theme music from one of my favorite TV shows, and at the time the first of a series of movies. 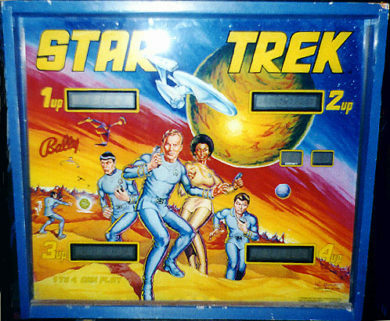 I played the game before seeing the first Star Trek movie, and remember wondering why they were wearing blue uniforms on the backglass.